Ambos Nogales history goes way back in The Way Back Time Machine. Without doubt, both the American and Mexican Nogales communities have seen many a good or great restaurant grow, thrive and then disappear. Such is the way of life of restaurants. The oldest US Nogales restaurant also happens to be one of the city's most popular. 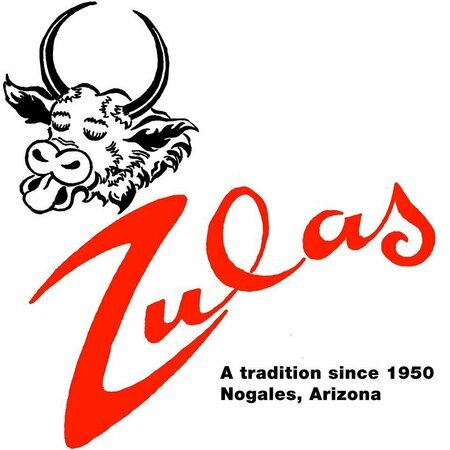 Zula's began in 1950 and is 67 years strong in 2017. Zula's gets great reviews for its burgers and apple pie. Most of the reviews give their Mexican food an "average" rating. Based on reading all available reviews, it appears the establishment has retained at least some of its Mid Century Modern accouterments. Here are the Trip Advisor reviews. 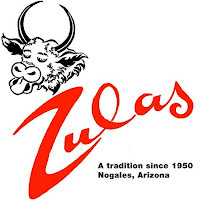 Zula's ranks #5 out of 53 Nogales restaurants. Here are the Yelp reviews.